Entry requirements: A bachelor degree with a 2:2 (hons) in a biological/physical science or radiography, or medicine or dentistry equivalent. Medical Imaging is an essential component of modern medicine and plays a key role in the diagnosis, treatment and monitoring of disease. This course is designed for recent graduates preparing for a career in medical imaging, medical students wishing to intercalate, healthcare professionals working as radiographers, sonographers, medical physicists, technologists and medics. 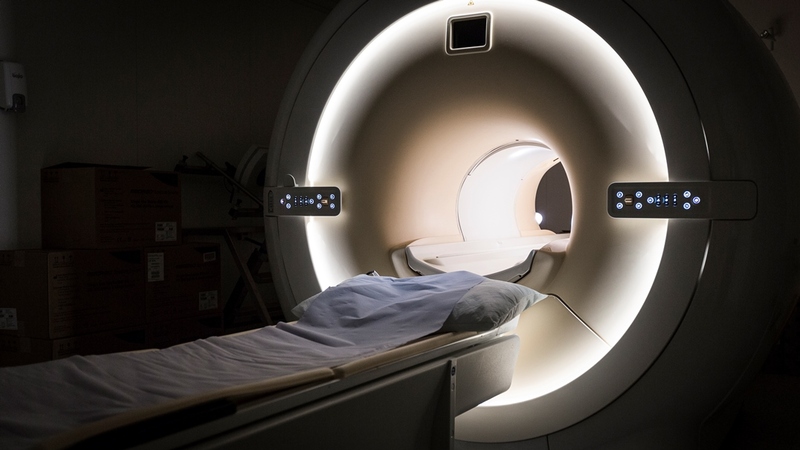 Whilst not a clinical skills course, the teaching of technical aspects of imaging techniques is firmly grounded in their clinical usage. Many of our lecturers are at the forefront of research in their field and bring insights from emerging imaging techniques. We have a long history of providing medical imaging research and teaching in the application of the physical sciences to medicine. Our Medical Physics group was established in 1948 so we have a strong history of research and teaching in the field of medical imaging. More recently we have provided the academic lead in collaborative projects involving GlaxoSmithKline, Siemens, Philips Healthcare, Thales Angenieux, Kidney Research UK and Breast Cancer Now. Our team of lecturers and research active academics will share their expertise with you through their teaching across a wide range of core and optional modules including: magnetic resonance imaging (MRI), Ultrasound, X-ray, computed tomography (CT), Radionuclide, paediatric radiography and forensic imaging. We offer the widest choice of modules, making our courses appealing to both UK and international clinical radiographers, medics, medical students and non-clinical researchers and technicians. You have the opportunity to tailor your learning through our range of optional modules which are available for both full time and part time study. We offer four medical imaging courses to suit your own learning needs. If your ambition is to further develop your knowledge about the theoretic principles underpinning the different modalities you use in a clinical setting, our postgraduate certificate or diploma may suit you. If you are particularly keen to develop a career in academia and research, our masters course is the ideal stepping stone to commencing a PhD at Leeds. You may transfer from your original programme to another one, provided that you do this before you have completed the programme and before an award has been made. Part-time study is also an option. For medical students, our intercalated BSc course provides a solid grounding in the physics involved in different imaging techniques and will enhance your imaging knowledge in preparation for your career in medicine. Intercalation on our MSc course will provide you with advanced learning which develops the essential knowledge and research experience that will be particularly useful if you are keen to pursue a career in radiology. Our programme structures allow you to design your own pathway to suit your personal interests and professional ambitions. You will choose a combination of modules that builds a bespoke qualification through a mixture of compulsory, core and optional modules to suit your needs. You'll study modules worth a total of 180 credits. If you study this programme part time you will study fewer modules in each year. Develop research questions, and undertake research directly or indirectly related to the discipline of Medical Imaging part of which includes the development of a research question/hypothesis, critical review, the choosing and application of an appropriate investigative method, presentation of results and finally a critical discussion of the findings with a conclusion. As an MSc student, you'll undertake a research project in the field of medical imaging. New research topics are available each year and typically include projects in MRI, Ultrasound, X-ray and their clinical application. You'll be asked to state your preferred research project. Before projects are allocated, you are encouraged to meet potential supervisors and discuss the research work. All modules (except for your research project) are taught through traditional lectures, tutorials, practicals and computer based sessions. We also employ blended learning, combining online learning with other teaching methods. You’ll be taught about the underpinning science of the various imaging modalities. We cover a range of clinical applications demonstrating the use of medical imaging in modern medicine. Many lecturers are at the forefront of research in their particular field and will bring insights from current clinical imaging practice and developments of new and emerging imaging techniques. Taught modules are assessed by coursework and unseen written examinations. Exams are held during the University exam periods in January and May. The research project is assessed in separate stages. You'll submit a 1,000-word essay (20%), a 5,000-word journal-style research article (70%) and make an oral presentation (10%). A bachelor degree with a 2:2 (hons) in a biological/physical science, radiography, medicine or dentistry equivalent. This course is also available as an intercalated programme to students who have completed three years of a UK medical degree (or international equivalent). Read more at Intercalation. We accept a range of international equivalent qualifications. For information contact the Medical Imaging admissions team. Past graduates have gone on to enter careers in medical imaging or related disciplines, such as radiology and radiography. Often students are already working in the area, and use the skills and knowledge gained in the programme to enhance their careers. Students have also gone on to take lecturer or research positions, or have chosen to take post graduate research degrees (such as a PhD). As a intercalated degree for medical students the programme is useful for students considering radiology or many other medical specialties.